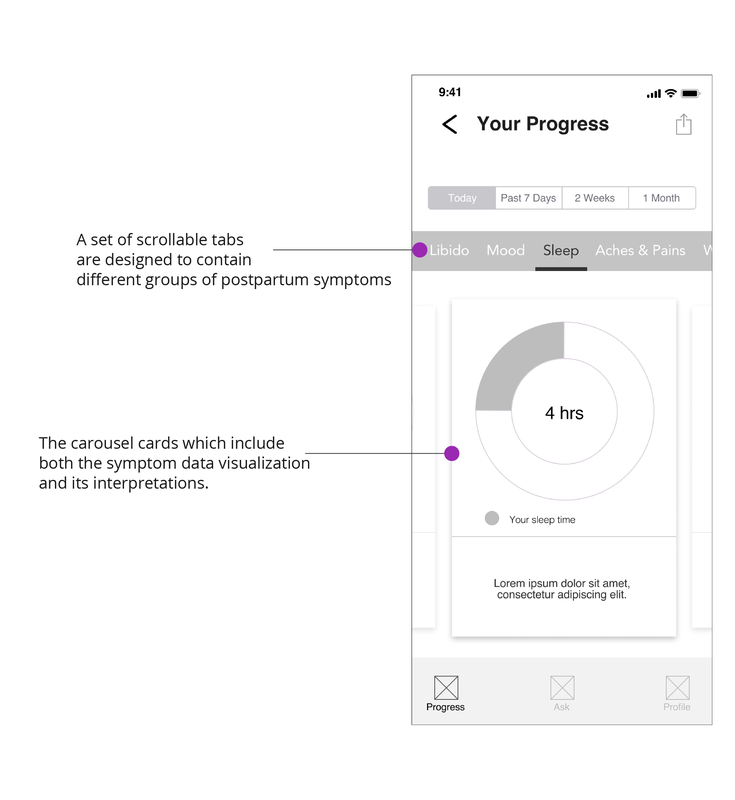 A mobile application design that provides new moms with approachable and professional experience to track postpartum symptoms. Fovi Health is a startup featuring on short message service (SMS) based postpartum support for new moms. Specifically, their product helps women with their physical and mental wellbeing in the year after childbirth. They currently deliver daily supportive information verified by medical professions over SMS as well as provide health coaching phone call. With the existing product, they recently launched a pilot in Bay Area. According to the user data and feedback from the pilot, the client has realized that how to easily log as well as track postpartum symptoms are real needs for their users. 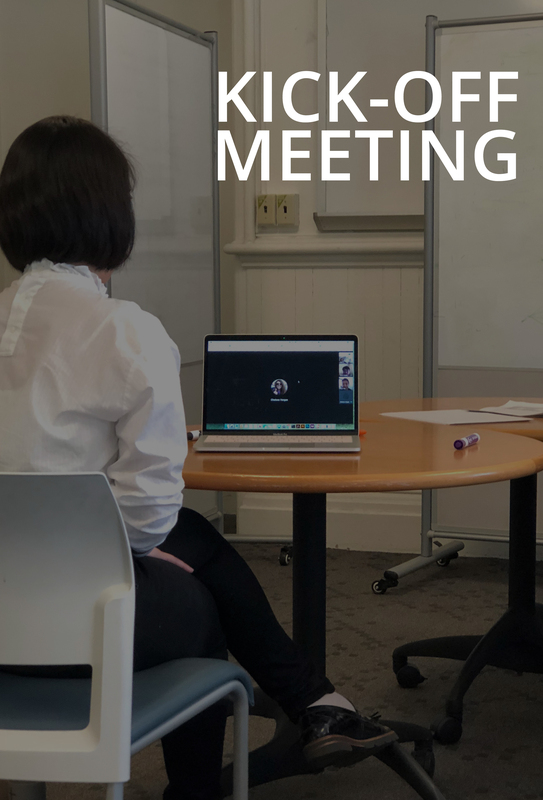 Hence, they asked a talented product design team from the School of Information, UC Berkeley to help design effective solutions to meet the needs of their users. Led user research data analysis and synthesis. Collectively ideated the design solutions. 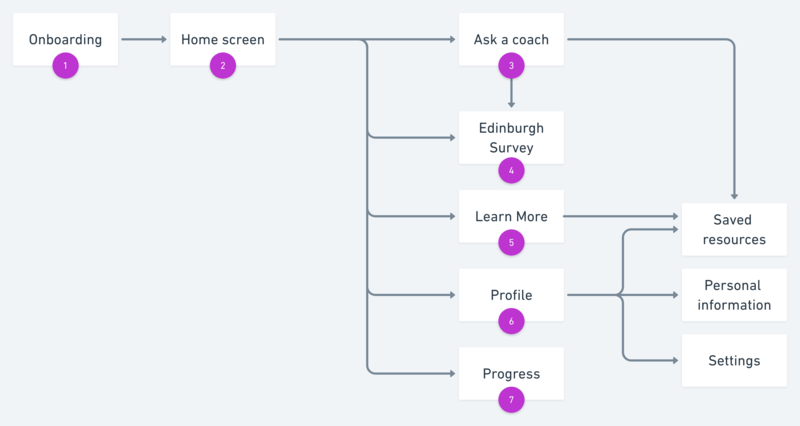 Designed the progress flow; created pixel-perfect mockups for this flow. New moms who gave birth within the last year; they feel overwhelmed and anxious during the postpartum period. A mobile postpartum symptom tracking application with which new moms will be able to effortlessly receive the support they need without taking time out of their hectic schedule caring for their new babies. Given the data collected in the pilot from our client, themes and topics (shown as below) were uncovered by using the affinity diagram. Also, connections were drawn between those topics, which led us to gain an in-depth understanding of the symptoms which exist in the postpartum period as well as methods used by the target user to cope and solve problems. To effectively converge creative mindsets from the team, a design studio was held. 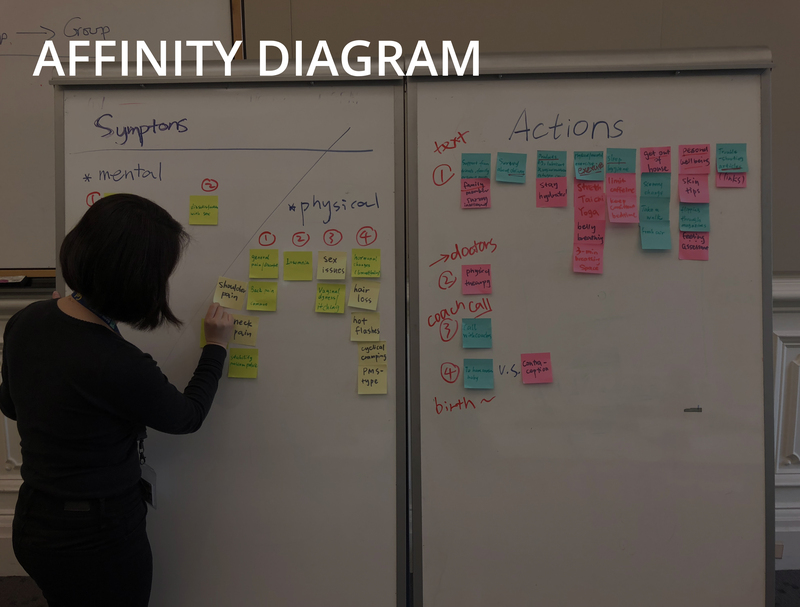 With the Crazy 8s technique, all team members actively generated a wide set of ideas from diverse perspectives on addressing the challenge. Thanks to insights uncovered by user research and the efficient ideation, the team came up with the solution which is to deliver professional treatment advice based on the user’s postpartum symptoms from real medical coaches through the mobile app. The user will be guided to know key features of this app after they sign up or login. The user will receive greetings each time when they open this app; they will get advice based on their own postpartum symptom data; they will be able to log their postpartum symptoms. 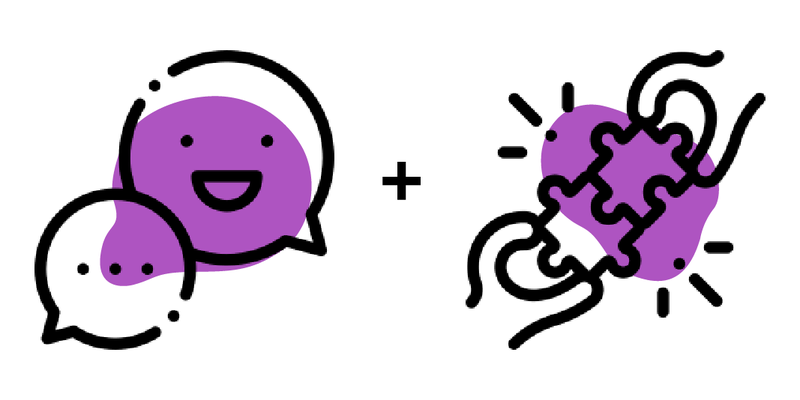 The user will be able to communicate their postpartum-related problems with the coach. The user will be able to fill out the ten questions from the Edinburgh Survey which is an effective tool developed to assist identifying possible postpartum depression. The user will be able to get an in-depth understanding of rationale behind those daily personalized advices. The user will be able to store all supportive information received either from the coach or daily personalized advices; they will be able to edit their personal information; they will be able to edit settings which include the notification delivery. The user will be able to view progress by selecting different time periods and symptoms; also, they will be able to export and share with medical providers or family members. 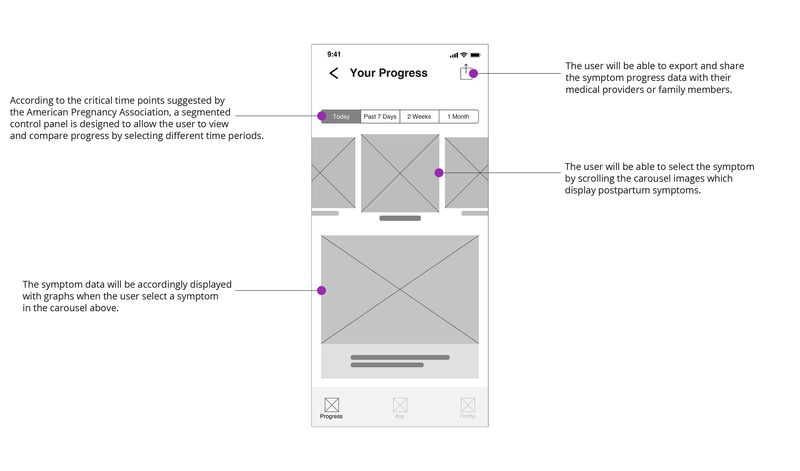 Wireframes of the progress flow was created to present how I incorporated the design solutions into user interface and user interaction with the mobile app. The carousel provides the user a nice experience to flip through the progress of different symptoms quickly. The symptoms may need to be clustered with color coding scheme; the interface can be made cleaner and simpler with a focus on the progress data visualization. Chelsea Vargas. Founder at Fovi Health. Iterations brought my client feedback to ensure that the wireframing meets their needs. Effectively, efficiently, and clearly communicated with the client during the design process.